Aquabatix USA was delighted to partner with The dFm and La Mer to launch their new beauty products, with some stunning synchronized swimming entertainment, in front of high profile influencers and beauty journalists from Vogue and Instyle, in a beautiful house at the top of the Beverly Hills. 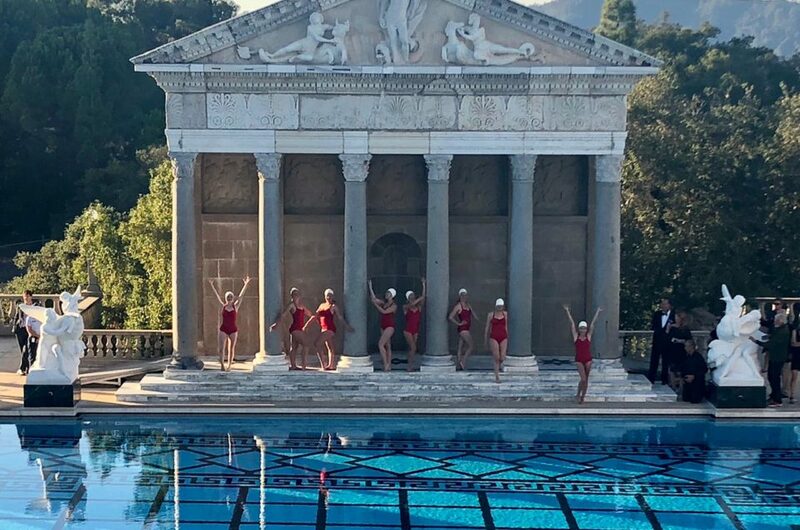 Creative agency The dFm approached Aquabatix USA with their client’s brief for synchronized swimmers to perform visually stunning routines for the guests to help promote their brand, with influencers capturing the show on social media. With an ocean theme and of course the brand being called La Mer, the Aquabatix routine Beyond The Sea went down perfectly with the guests. The influencers crowded around the poolside to film and take photos of Aquabatix USA performing in the stunning infinity pool overlooking the city of Los Angeles. For the second show, Aquabatix USA performed their upbeat Happy routine much to the guests delight. 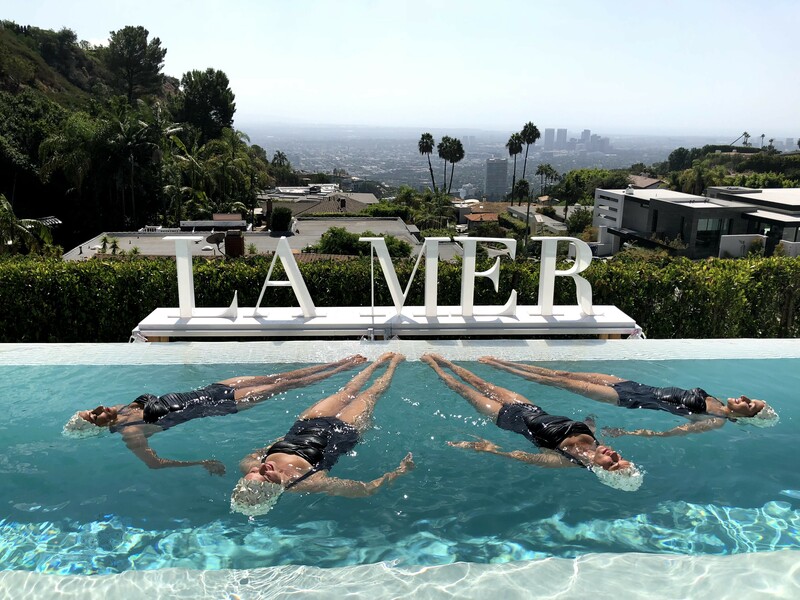 Appearing on several Instagram stories, including Instyle and one of Vogue’s writers, the synchronized swimmers helped to highlight the beauty and elegance of the La Mer brand. 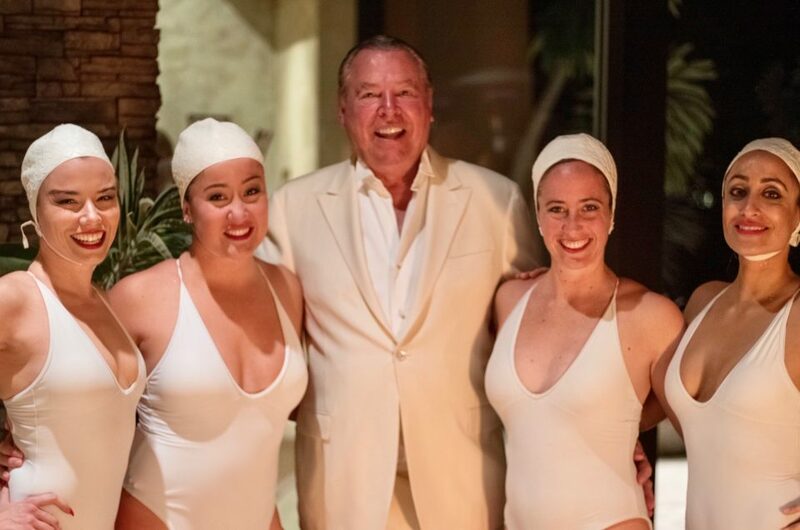 Director of experiential marketing at The dFm, Bess Wyrick said “thank you” to Aquabatix USA for “being such great partners” and stylist Shalice Noel mentioned that the synchronized swimming entertainment “was amazing”.